After a meeting in July of 2013, Alan Keet CEO of Grand Slots took a keen interest in the carer training provided by Iris House. This interest was cemented when Alan and his team attended our fundraising ball in August of 2013. Iris House Children’s Hospice was requested to submit a formal request for funding of our care team training in November of 2013. 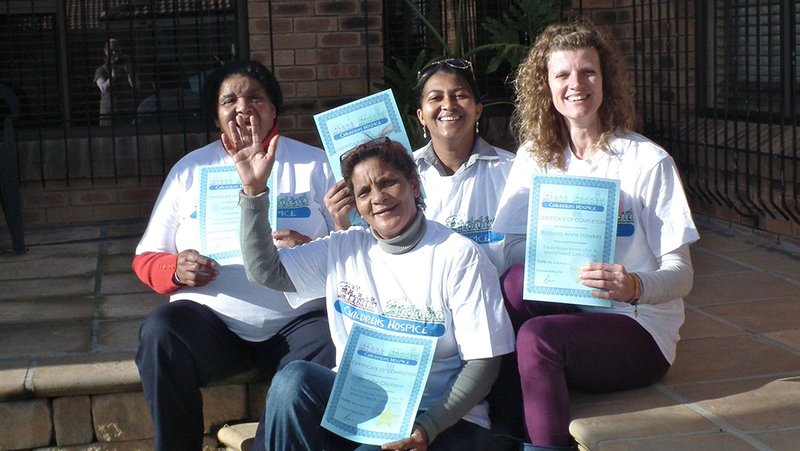 In May we received an amazing R 133,350.00 to be used for our carer training program. The first recipients of this generous grant are our new intake of carers for the Northern Suburbs and our first intake of carers for the Vredenburg and Saldanha Bay region. We purchased uniforms, toy boxes, medical bags and paid for their level one first aid training. These are just the first of many more carers who will benefit from the Grand Slots grant. We are having our new car magnets made identifying care team members. These will now proudly display the Grand Parade logo at the bottom. We are very proud to have been selected as recipients of the grant. Thank you Grand Parade Investments.